Meeting Craig Oldham recently reminded me that I still haven't written a blog post about the talk he gave at college a few weeks ago. It was called 'But isn't that your job?' 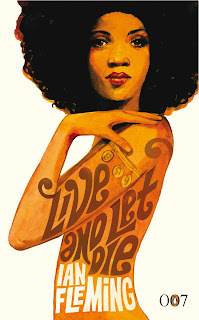 and was essentially Craig talking to us about his experiences of working with illustrators. He did this by taking us through a series of projects from beginning to end and talking honestly and openly about how he had found working with illustrators on each of these projects. For example 'The Big Four'. 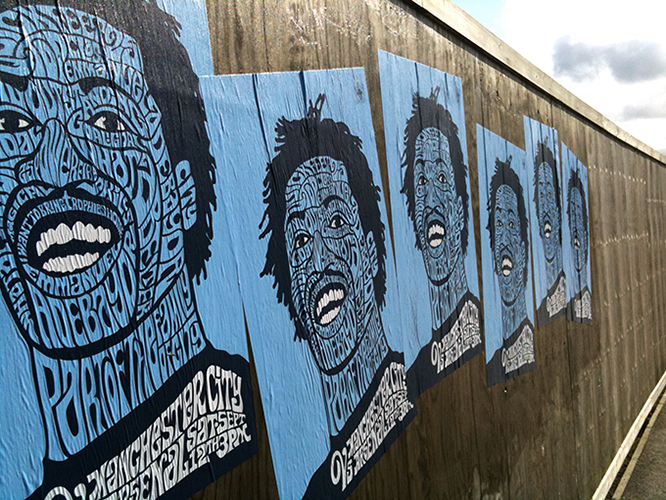 This was a series of posters that were created to publicize football matches commissioned by 'Manchester City'. The aim was to create a buzz around each match. Craig had the idea that the posters should be designed like gig posters. 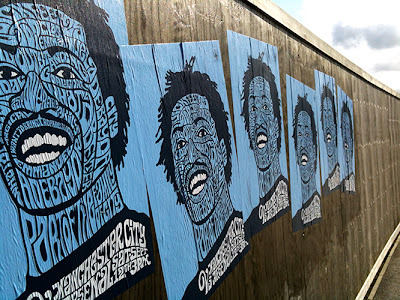 The thinking behind this is that football on the scale that City play has more in common with a music gig than a traditional lower league game. A City game is now a major event not to be missed, like going to see a band at an arena. So, as something different for this project Craig decided to commision illustrators assosiated with the 'gig poster style' to create gig- esque posters for the games. 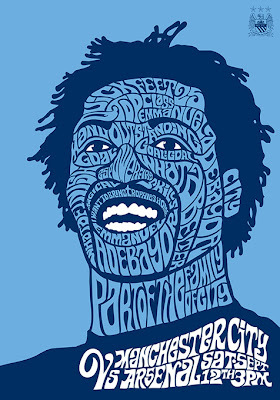 The first was a City vs Arsenal game and the agency commissioned illustrator Michael Gillette (famed for his 'Bond' Covers for Penguin) to create a poster, using his unique style of typography and form, that would make player Emmanuel Adebayor look like a rock star. Craig talked us through the process of commissioning the artist, discussing what was needed, discussing changes to be made to drafts, discussing money and even discussing how often they were allowed to reproduce the image.